SOUZA: What Do We Know About The 2017 Whelen Modified Tour? DAYTONA BEACH, Fla. — These days, there are plenty of questions being asked about what will happen with the 2017 NASCAR Whelen Modified Tour season. In October, NASCAR announced that they would merge the NASCAR Whelen Modified Tour and the NASCAR Whelen Southern Modified Tour into one for the 2017 campaign — but there haven’t been many more details than that. It’s unclear exactly how many races there will be, exactly how many drivers there will be, or exactly where the races will be. There are some things we do know and plenty of things that we don’t know about the 2017 season right now. At this point, we do know some of the schedule for the 2017 campaign. There have been plenty of questions surrounding exactly where the tour will be headed next season, especially since we now have a merger. Will there be a lot of Southern races? It’s possible, but still unknown to this point. We do know that Stafford Motor Speedway will host the tour three times during the 2017 season, not their normal four. The Stafford stretch will begin with the annual NAPA Spring Sizzler on April 29/30, but then the tour won’t visit the half-mile until Aug. 4. The Fall Final weekend will also hold a tour race on Sunday Oct. 1. The race that has been eliminated from this stretch is the June race. Instead, Stafford has replaced it with the newly-formed Modified Touring Series. Seekonk Speedway has also announced a date for the tour, taking the final Saturday in the month of August. 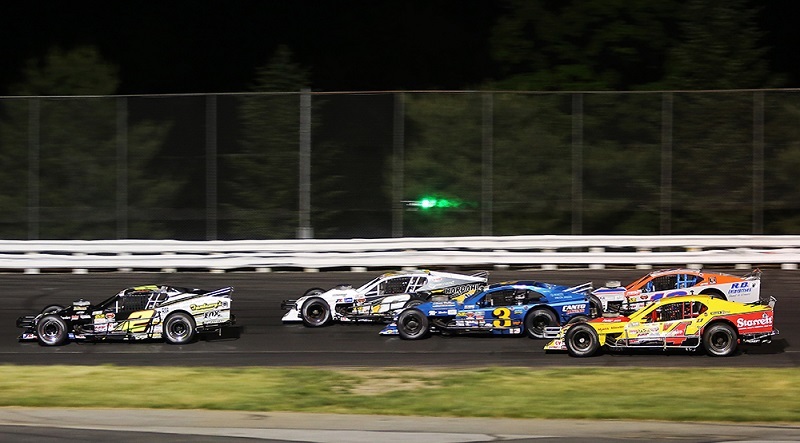 The Seekonk date has taken the place of the second Riverhead Raceway date from last season, making it likely that there has been a swap between the two tracks. Thompson Speedway Motorsports Park has made it clear on their website that they will be holding four races during the 2017 season, including the annual IceBreaker on April 1-2. So, right now, we have eight races that have been fully confirmed. Three at Stafford, four at Thompson and one at Seekonk. Over the last few weeks, multiple drivers have confirmed to Race Chaser Online that either they personally or their team from 2016 will not be competing on a full-time basis next year. Donny Lia said recently that he will not be running full-time next year in order to spend more time with his family, especially his two sons. Lia has competed in every race that the tour has to offer since 2012 and has been driving for car owner Mark Sypher for the last two years. Even though the combination did not win together, they did finish second twice at New Hampshire. Lia also told Race Chaser Online that Sypher will be stepping away from full-time action next year. Bobby Santos and Tinio Racing are both unsure of their plans for the 2017 season at this point as well. The combination has also been together since 2012, but Tinio has confirmed they will not be returning to the tour on a full-time basis next season. They have not ruled out a part-time schedule just yet. Santos did say last week that if another ride became available for him to run full-time, he would consider it. Chase Dowling, who drove for Bob Katon full-time in 2016, also has nothing to this point on the NWMT side of things. 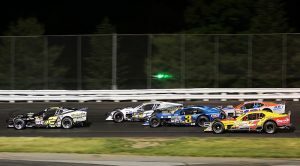 Although Dowling does have a full-time SK Modified ride at Stafford Motor Speedway on Friday night for next year, he did say he is still interested in running the full NWMT slate. Woody Pitkat has been announced as the driver of the Jeff Goodale owned No. 46 for next season on a full-time basis. Pitkat will return to full-time competition after running a part-time slate during the 2016 season for Kevin Stuart Motorsports. Goodale announced he would be backing away from the driving side of racing because he wants to spend more time with the family business. Going into last year, many people saw Doug Coby as the favorite to be the champion. When the season ended, those people were right. Coby scored his third straight title last season and will be chasing a fourth straight during the 2017 season. In what will be a run for his fifth overall championship, Coby will have some top challengers to contend with. Justin Bonsignore is coming back for a fight with new sponsor Anytime Realty and a new crew chief. There are many other drivers, like Piktat, who will also be fighting for the title. Let us not forget about Timmy Solomito, who did score four victories during the 2016 season.